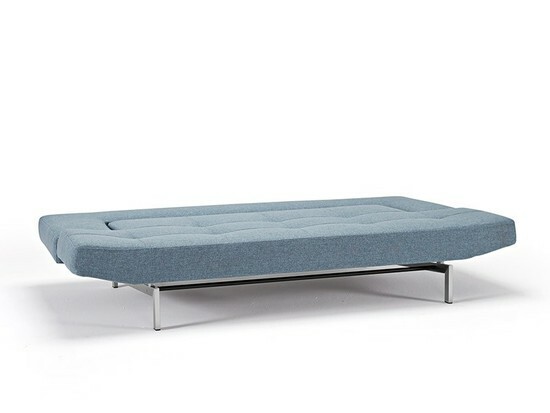 The Jane Convertible Sofa can be a large daybed or a sofa. Streamline and comfortable, this attractive sofa's back and arms lay flat to become an inviting bed. The backrest adjusts from flat, to angled, to 90 degrees. 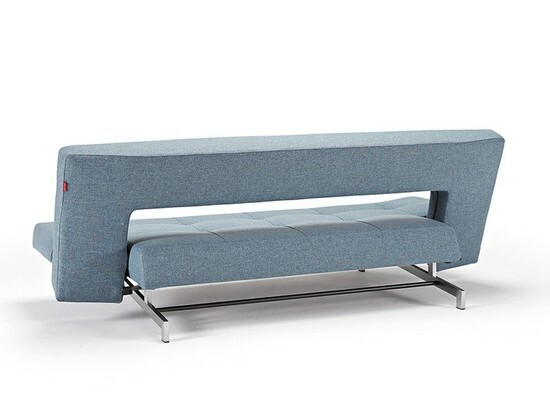 Upholstered with pocket springs, attractive stainless steel legs and mixed dance light blue fabric upholstery makes the Jane Sofa comfortable in addition to being functional. Perfect for large or small spaces and unique contemporary design make this a must have piece. Also available in light gray fabric. Designed in Denmark.